Have an excavation project, septic installation or septic repair? We service the Farmington Valley and the entire state of Connecticut. Call us, or complete the contact form on this page, and we'll be happy to give you an estimate or proposal for your project. Street address where work is to be done. City, state and zip of property where work is to be done. 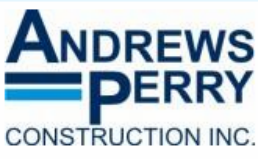 Founded in 1988 by Joe Perry and Peter Andrews, both owners are hands-on in the day-to-day operation of the business so you can be assured your excavation or septic project will be done correctly and to your satisfaction. Your satisfaction is the key to our continued success. the Farmington Valley and the entire state of Connecticut for more than 30 years.